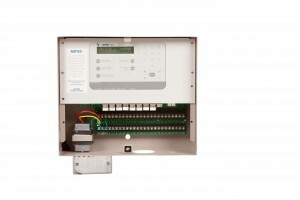 ETwater offers three smart controller models for cost-effectively transforming any conventional, standard irrigation system to smart irrigation control and management. 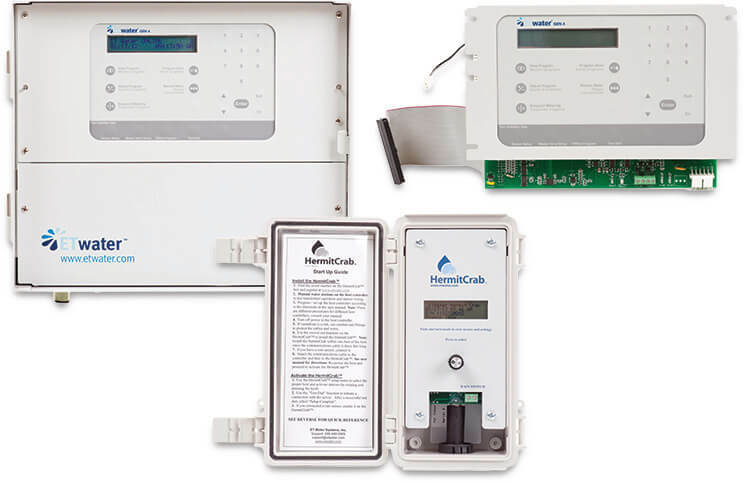 All three smart controllers access the powerful ETwater cloud-based smart irrigation platform that dynamically adjusts landscape watering schedules by zone/station based on weather forecast, plant types, soil, microclimate, and other environmental data. 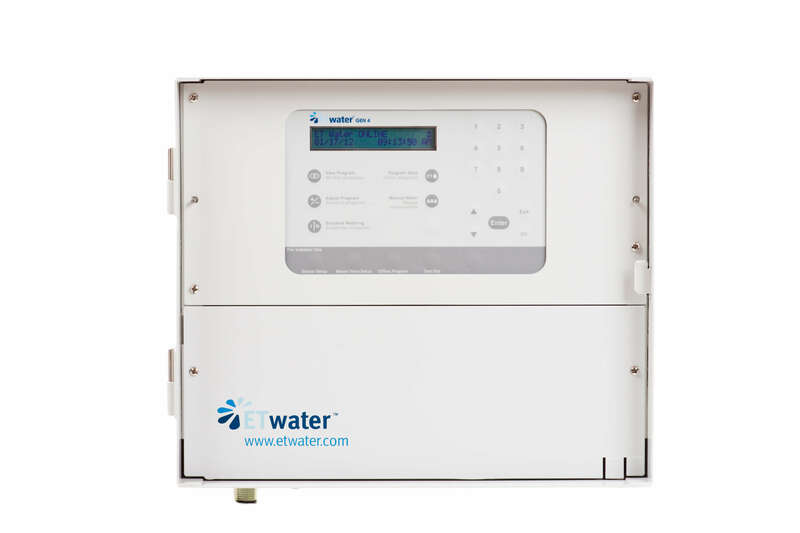 ETwater automatically schedules irrigation to occur in compliance with any municipal restrictions or mandatory watering days, and will send alerts based on any unusual situations, such as abnormal water flow rates. 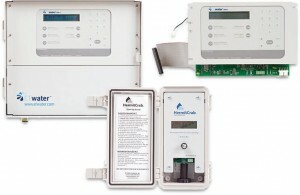 Designed for quick set-up to remotely manage and monitor watering real-time from any computer, tablet or Smartphone, ETwater smart controllers connect to the internet over cellular data networks with no cables or WiFi necessary. All ETwater smart controller devices are FCC approved and EPA WaterSense certified. Durable, weather-resistant aluminum enclosure with locking cabinet for indoor or outdoor use suitable for wall mounting and selected pedestal installations. Easy-to-use keypad for viewing programs, manual (offline) valve operation and other system functions. Plug-in interface for Rain Master® and certain other remote control systems. Standard connections for rain sensor, booster pump, master valve, and flow sensor. Compatible with normally open or normaly closed master valves, rain/freeze or wind sensors. Controller keypad can be used to test one or all stations for OK, open or shorted circuits. Colored LED panel lights report activity status for rain sensor, flow sensor, or open or shorted valve. Back lit LCD display provides output verification for station being irrigated. 120 VAC input and 24 VAC output. All 24V output terminals have surge protection rated up to 4KV in accordance with IEC 6100-4-5 standard. All outputs protected by a 2.0 amp self-resetting fuse. Input power draw: 1.0 amp or less at 120 volts VAC. Each station, boost pump, and master valve ouput terminal can handle up to two 24V solenoids. Total controller output is 2.0 amps which can typically operate 4 solenoids, including master valve and pump relay. In event of power outage, non-volatile memory retains all programming information indefinitely. Chassis-mounted grounding lug for added lightning protection. SmartWorks panels are compatible with both wall and pedestal mount configurations. * Replacement panels for Rain Bird® commercial models that fit in the deep-drawn cabinet, including ESP-MC (Maxicom2® compatible) and ESP-SAT series. * Panels for Rain Master Evolution DX2 require eight weeks lead time. Measures and records flow and alerts on flow events such as a main line breaks, stuck valves, and broken sprinkler detection. Compatible with most available irrigation flow sensors. 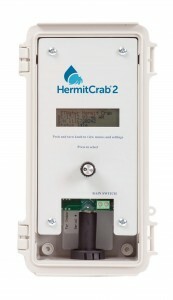 ETwater HermitCrab 2 is compatible with most models of the following brands. Host controller must have a remote control port. ET Water Systems, Inc. is neither affiliated with nor endorsed by Hunter Industries, The Rain Bird Corporation, Rain Master Irrigation Systems, Inc.,Storm Manufacturing Group, Telsco Industries, or the Toro Company. 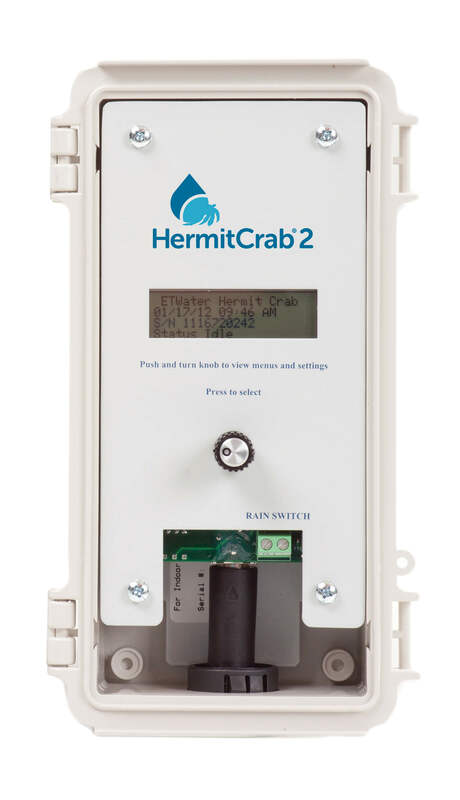 The warranties of Hunter Industries, The Rain Bird Corporation, Rain Master Irrigation Systems, Inc., Storm Manufacturing Group, Telsco Industries, and the Toro Company do not apply to ETwater HermitCrab products. Rain Bird and Maxicom are trademarks of Rain Bird Corporation.